Waffle cone or sugar cone? I’ll admit, I’m not typically a waffle cone girl, the sugar cones are just way better. …until you bring chocolate into the picture. These are now totally edible. 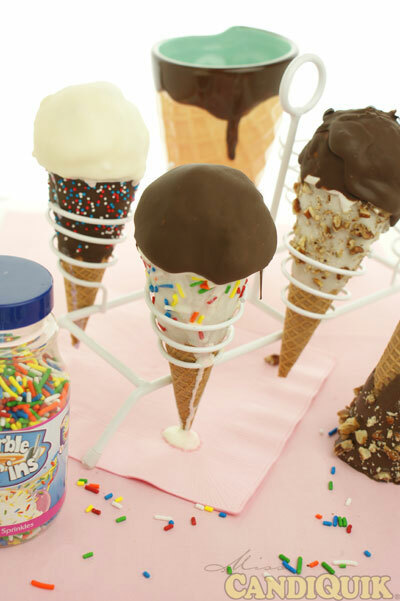 Sorry sugar cones, you have been replaced. And then when you add chopped pecans, *sigh*. I love ice cream and it deserves to be held in a cone like such. 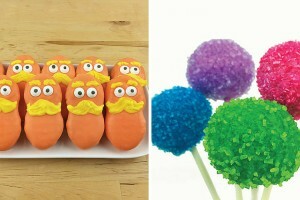 These would be perfect for your next ice cream social, birthday party, friday night dessert, or just a fun treat to make with the kids. Assorted sprinkles, chopped nuts, crushed Oreos(!!?? ), etc. oh yeah, and ice cream. Melt coating according to the package directions. 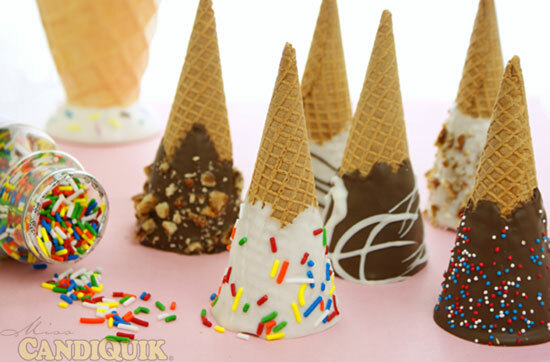 Hold the end of the cone and dip the top 2-3″ in the chocolate or vanilla CandiQuik. I found this easiest if I just rolled and rotated the top of the cone directly in the tray of CandiQuik. Allow the excess coating to drip back into the tray; waiting about 30 seconds to add jimmies, chopped nuts, etc. Set on wax paper to dry completely. Now… let’s take this relationship to the next level. 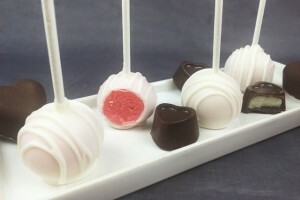 We are just minutes away from drumsticks, dipped cones, or whatever you would like to call them. 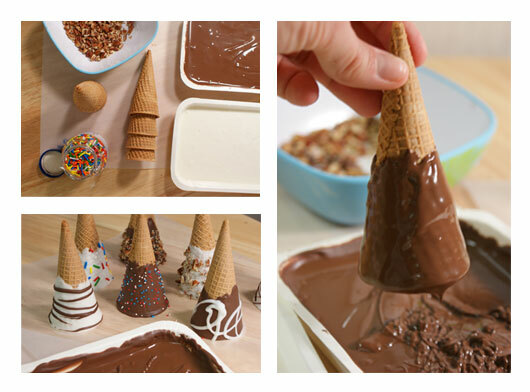 Fill your cone with a heaping scoop of ice cream on top and place in the freezer for 10 minutes. You want the ice cream to be veryyy cold because you are about to dunk it in melted chocolate. 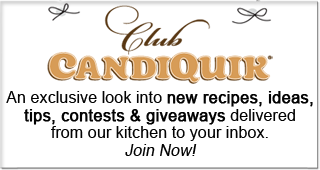 Transfer your CandiQuik into a deep mug, cup, or bowl. 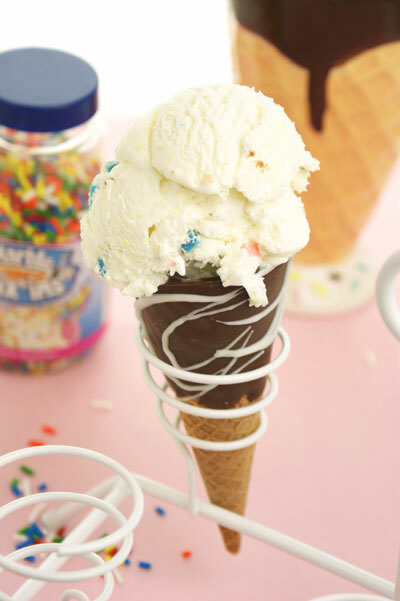 Holding the end of your ice cream cone, quickly dip the ice cream in the coating. It will harden almost immediately so just dip (fast!) and place back in the freezer until ready to devour. Unfortunately I did not take any photos of this process. I would have ended up with a giant scoop of ice cream in the chocolate versus the cone. Now, as you can tell, I’ve got a hot mess happening – so this photo session has to end, darn. I love this! It’s really fun how you embellished the cones with decorations. I think I could do the cones, I’m a little nervous about the ice cream, though! Thanks for sharing! 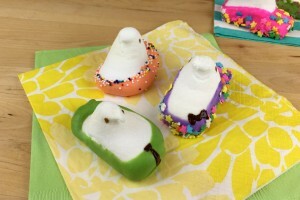 You could totally do the dipped ice cream! And what’s the worst that could happen? Haha. Thanks for saying hi. 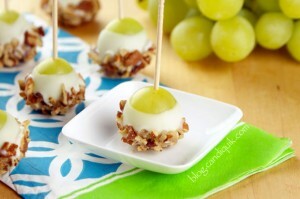 omg these look amazing!! And so pretty. I will check it out, thanks for saying hi! Love these! 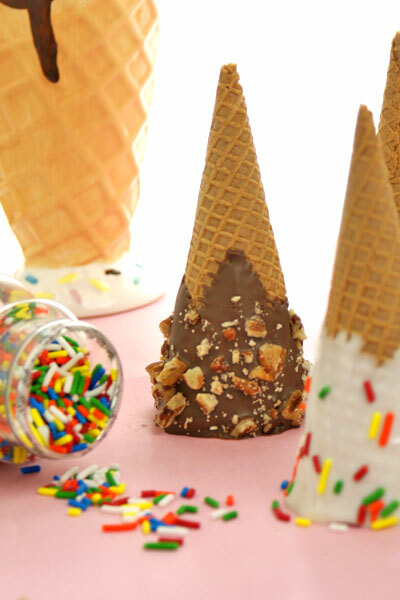 Chocolate dipped sugar cones with LOTS of sprinkles are my absolute favorite. 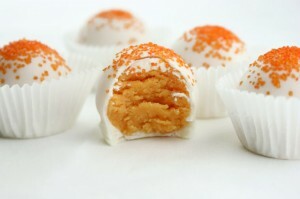 The white chocolate version looks awesome, too! 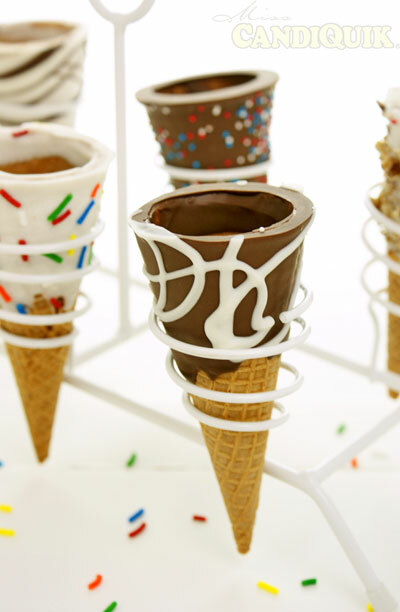 I love chocolate dipped waffle cones! 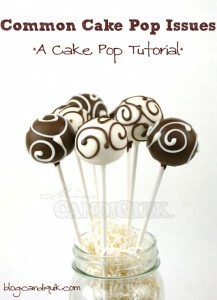 Add the chocolate covered ice cream and this girl would be set! Fun idea!